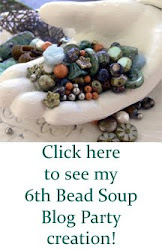 BumbleBeads Designs: Bead Soup Sign Ups! 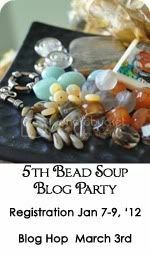 Even though I've been so busy these past few months, I have to sign up for the Bead Soup Blog Party hosted by Lori Anderson. Lori hosts this awesome event every year where each participant is paired up and sends each other a "soup" of coordinating beads. When you receive your package of a focal, clasp, and other lovely matching goodies, it's as exciting as getting a Christmas package in the mail! Here are some of my pieces from the 6th Bead Soup Blog Party. 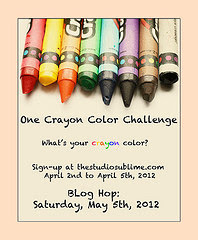 Or you can click the images on the side to see the blog post.